Mom’s hands been busy knitting, we’ve had a lot of rain. So no walks in the park or weeding the garden. 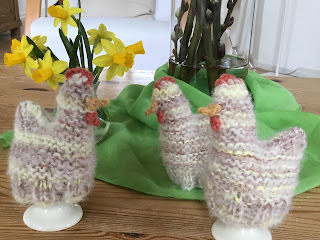 We picked some daffodils from Pale Roses garden though & see here the three egg cosies my mom made. Are they not beautiful?! What are your plans this year for Easter? 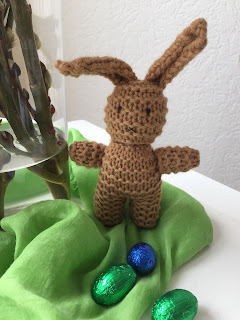 Decorated your home already? Do tell us all, we love keeping in touch!